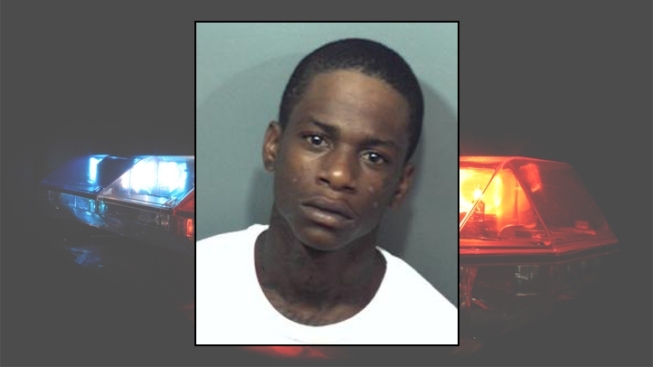 Police say a 21-year-old man is wanted in connection with an attempted murder in Capitol Heights, Md. in May. Crews responded to the 1200 block of Elfin Avenue May 7 just after 5 p.m. for a shooting and robbery. There, they found two victims; one who had been shot in the leg and another who was hit in the face by an unknown object. Police said the two were approached by two men, demanding their valuables. Within 24 hours, 20-year-old Vaughn Kevin McPherson was arrested and charged with attempted murder and armed robbery. Police say Franklin Eugene Hunter of Southeast D.C. is wanted on the same charges. If you have any information on Hunter's location, contact Prince George's County Police at 301-772-4425.